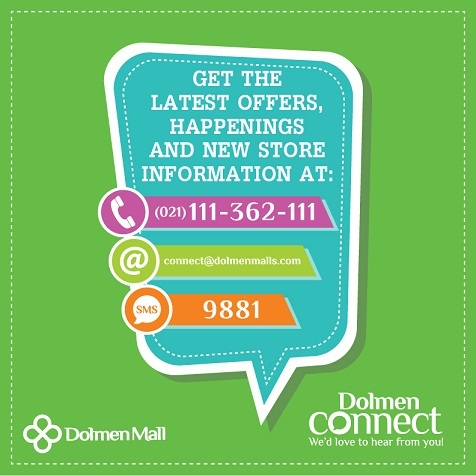 Dolmen Mall today announced the launchof a dedicated customer representative service called Dolmen Connect, for their premium property – Dolmen Mall Clifton, in Karachi. 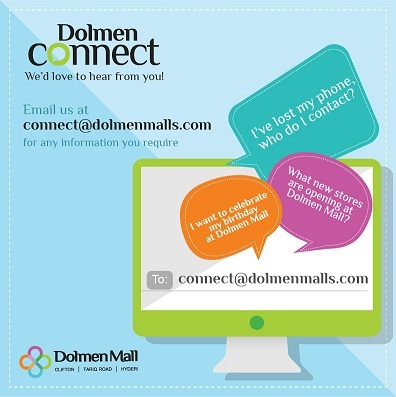 With Dolmen Connect, there are different channels of contacting Dolmen Mall, including UAN, a four digit SMS number and an email address. 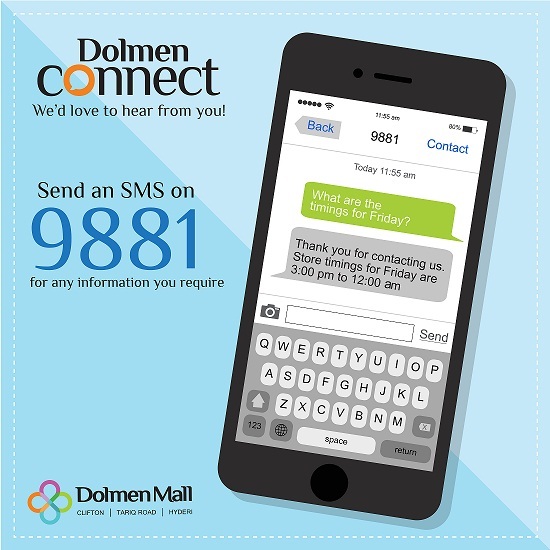 With this service, the customers can now directly contact the Mall’s management directly for any information, feedback or inquiry. Dolmen Mall has new store openings, promotions, magazine, fashion shows and other activities happening as the mall every day that their customers are excited to know about. Customers can even plan ahead for their trip with Dolmen Connect by calling ahead to book of exclusive services like a wheelchair. Customer’s feedback and complaint handling are another very important function of Dolmen Connect service. All of this has been done so customers can connect with their favorite mall at any given time of the day. Dolmen Mall Clifton has revolutionized the retail landscape of Pakistan. Located at the waterfront, at the intersection of the upscale Defence and Clifton neighborhoods, this mall integrates the best in food, fashion and leisure. It provides the Pakistani shopper exclusive access to some of the world’s most popular retail brands and eateries, attracting customers from all over the country to its doors.